Galleries have become more important today than ever before. Reason? They are used not only for portfolio or photography websites but also for many other type of WordPress sites including news-related sites and blogs. A picture or a video based gallery is more engaging for website visitors and give you website a much better look too. So, in this article, we have gathered 5 of the best WordPress gallery plugins you can find today. Check out the list below and see which one is perfect for you! 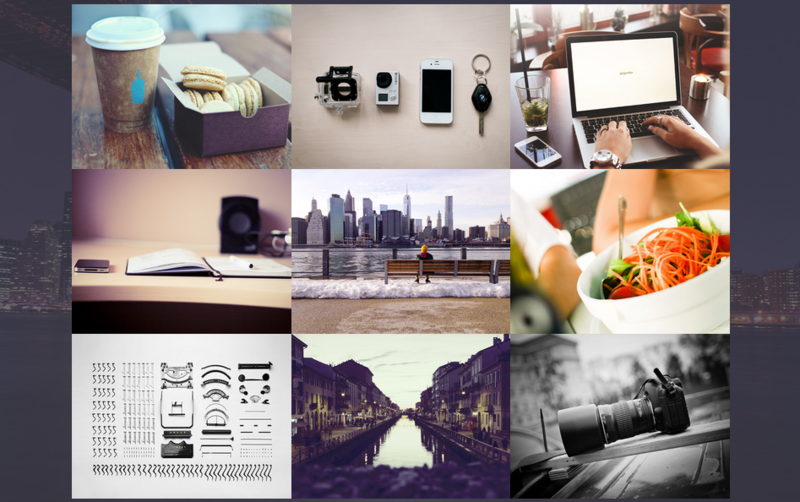 Justified Image Grid is really one of the best gallery plugins you can find out there. There are countless features with each being more awesome than the other. For example, you can create gallery with justified images. What this means is that you do not have to crop your images but they will automatically fit in a grid, just like you would have seen on Google Images. Won’t it be great to have your gallery look natural and fun to browse? The best thing is the unique responsive behaviour. Since it is a justified grid, images are not of same width, but even then the plugin handles them very well. Go to their demo page and simply resize your browser to see it in action. It brilliantly repositions your images and make them look nothing but best. For an even cooler effect, you can make your images black and white and show them in color only on however. This unique effect makes your galleries easier to browser and highlight an image only when it is hovered giving the user a much better experience. What’s more, it can show Flickr photos, Instagram photos and even recent-posts based galleries. It really is one of the best gallery plugins you can see for WordPress today! Essential Grid is another amazing plugin which is based on grids. 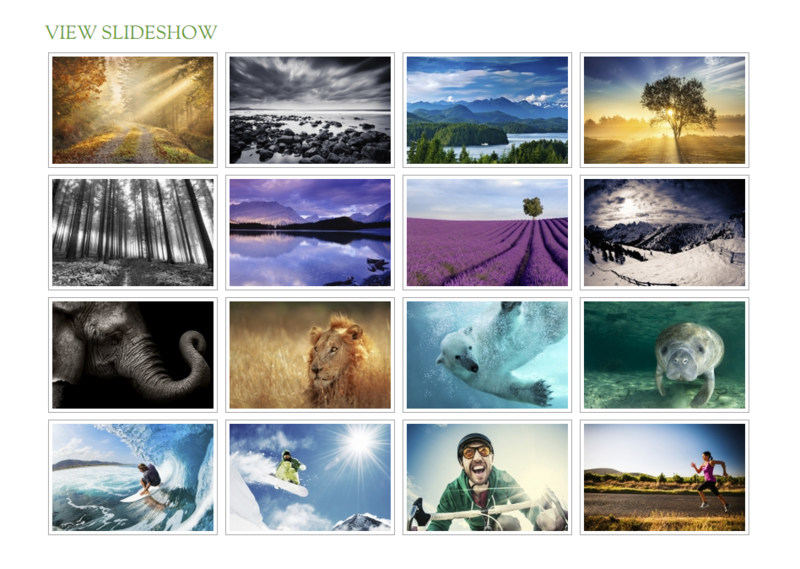 You can show any content using the grids and creating grid-based galleries could not be any easier. It is created by ThemePunch, the same company who created Slider Revolution. If you like grid-style webpage or want a nice gallery with countless grid features then this is the plugin for you. You can even easily import/export a skin just like you would do in Slider Revolution plugin. This plugin is very easy to use and the options are self-explanatory making the overall user experience very good. There are more than 25 skins included with the plugin and it is also mobile optimized. With such features, you can never go wrong if you choose Essential Grid plugin. Media Grid is basically a gird plugin for creative responsive portfolio website but it is great for many other purposes too! With unlimited layout possibilities, the visual builder and the support for custom fields of your own choice, it is a truly powerful portfolio plugin. Changing skin style is super easy. Just choose a style and click ‘set’ and you are all done. Another great thing about Media Grid is that it is compatible with WooCommerce like few other top plugins. This makes it easy to create grids based on products and show their details, ratings and other data for making it visually appealing. While Media Grid is not as powerful or filled with tons of features like some other plugins but it surely has the best options for creating a portfolio website. There are many gallery plugins for WordPress but this is a one created specifically for video galleries. Due to this reason, it has a lot of features related to video gallery creation and includes many layout styles. There are many options related to customizing video looks and the plugin also supports YouTube and Vimeo. Videos from both of these services is natively supported which means all you need to add is the video code and it will take care of the rest. It is even touch-enabled which means it should work perfectly on all touch screen devices too. Moreover, the settings panel is simple and easy to understand even for a new user. For those looking for a dedicated video gallery plugin, this one has the most features for you. NextGen Gallery is really a brilliant WordPress gallery plugin which has a pro version too. But even the free version gives so many great features that you are never likely to expect from a free plugin. The ability to create multiple albums, galleries, give titles and arrange images however you want, are just few of the cool features this plugin has. It is even possible to easily crop images, crop or edit thumbnails, show watermarks and easily import images using multiple methods. You can customize the look of the galleries using the custom CSS option. To summarize, if you are looking for the maximum options and want a free plugin then NextGen Gallery might be the best option for you.